Don't see your sofa? Take the quiz and find your slipcover. 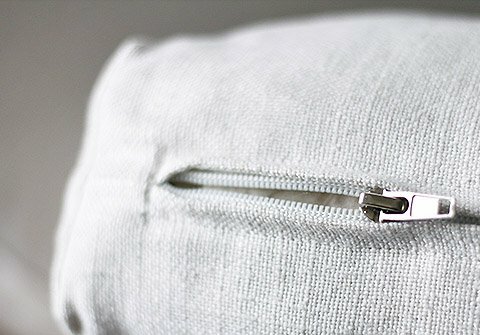 Over the years, zippers can break quite easily but we've made sure to get only the best that won't bend or break. If you have the bycast leather covers, we'll even provide two just in case. 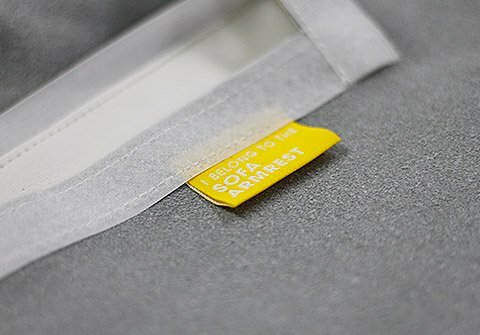 Instead of overwhelming you with an instruction manual, we stitch a little label on each slipcover if the set you ordered has more than 4 individual pieces in it. Life’s hard enough as it is, you shouldn’t have to solve a puzzle while putting on your new slipcovers. Remember how the seat cushion on the sofa-bed always slides off? Some models have velvet lining that provides enough abrasion to prevent the seats from sliding off when you sit on it. Send us an email to check if you prefer this to reversible cushion covers. 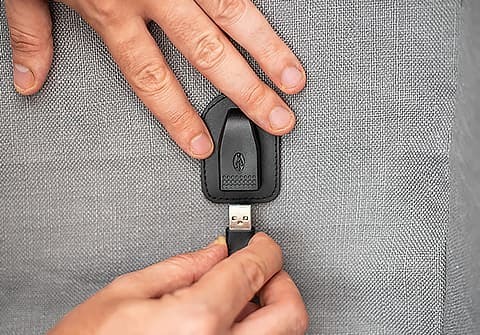 Our built-in, discreetly-placed USB port means no more struggling with charging cables that are too short or sitting in awkward positions because your electrical outlet is too far away from your sofa. 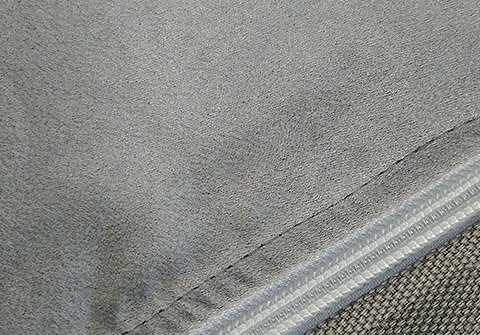 To clean your covers, simply detach the port and throw them into the wash.
Over the years, zippers can break quite easily but we've made sure to get only the best that won't bend or break. If you have the bycast leather covers we'll even provide two just in case. Our built-in, discreetly-placed USB ports means no more struggling with charging cables that are too short or sitting in awkward positions because your electrical outlet is too far away from your sofa. 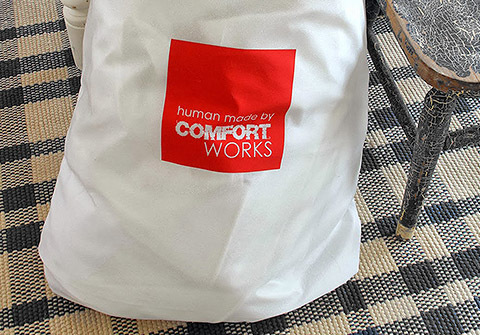 The slipcover come in a water-resistant drawstring bag which also double up as a storage bag for your old slipcovers. Protection against the elements is always handy, just in case! Our current shipping time is around 2-3 weeks; typically during peak periods it could take a bit longer but rest assured we'll get the covers to you as soon as we possibly can without compromising on quality. We do need to take the time to ensure every piece is given care and attention required - the end result has to be something we ourselves would be happy with. All parcels are shipped exclusively via DHL, FEDEX with tracking and insurance. We deliver worldwide to various countries in the Americas, Europe, Asia-Pacific, Middle East and Africa via FedEx/DHL/TNT or an equivalent Priority Shipping Service. All purchases over US$150 will entitle you to FREE SHIPPING. Is your slipcover too tight or too loose? Did a button fall off? Or maybe a zipper broke. Well, that’s not going to sit well with us. Not one bit. If you’re not 100% satisfied with your purchase, you can opt to have it repaired, replaced or returned within 30 days of its arrival at your doorstep. To find out more about our 30-day, Repair, Replace or Refund Policy, head over here. We’re not a giant, faceless corporation. We are a small team that takes great pride in our craftsmanship and truly cares about our customers’ satisfaction. In fact, we’re so confident you’ll love your slipcover for years to come that we've just updated our warranty from 2 to 3 years, starting from 2018—we trust you’ll exercise this warranty in good faith. Want find out more about the lengths we go to, to make you happy? Go here.